School Resource Officer Phil Martin reading the G.R.E.A.T. pledge with Lincoln Middle School students. 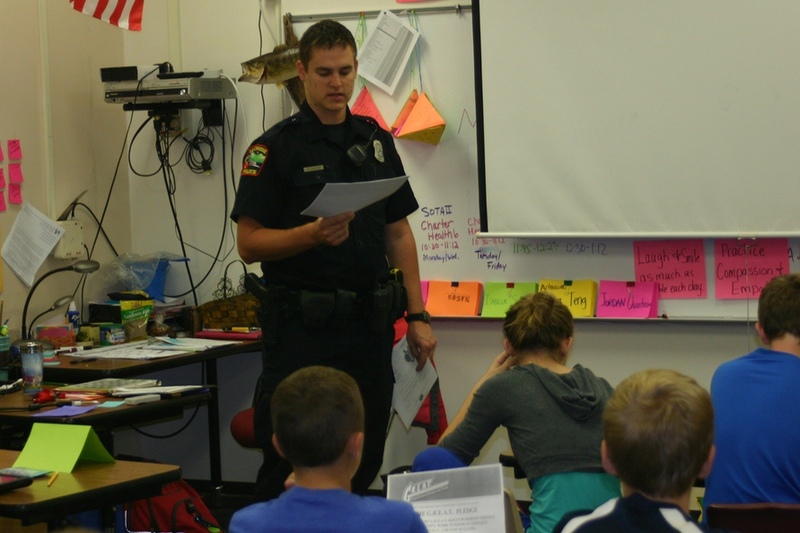 Recently, La Crosse Police Department Sergeant Tom Walsh, who serves as the Regional Administrator for the G.R.E.A.T. 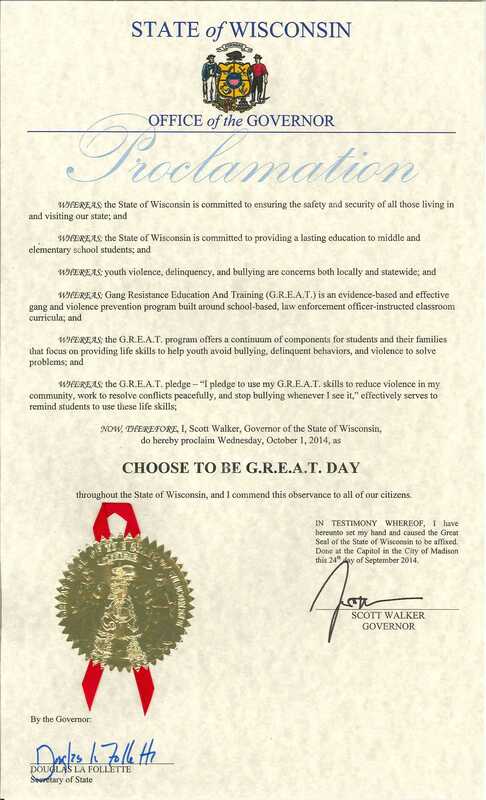 Midwest Atlantic Region, received notice that Governor Scott Walker has also proclaimed October 1, 2014 as “Choose to be G.R.E.A.T. Day” in the State of Wisconsin! ← A Safe Oktoberfest Starts With You!